Reisig Cattle Co. looking over the bulls. 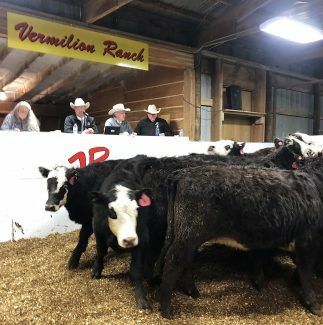 Vermilion Ranch bulls at Public Auction Yards. 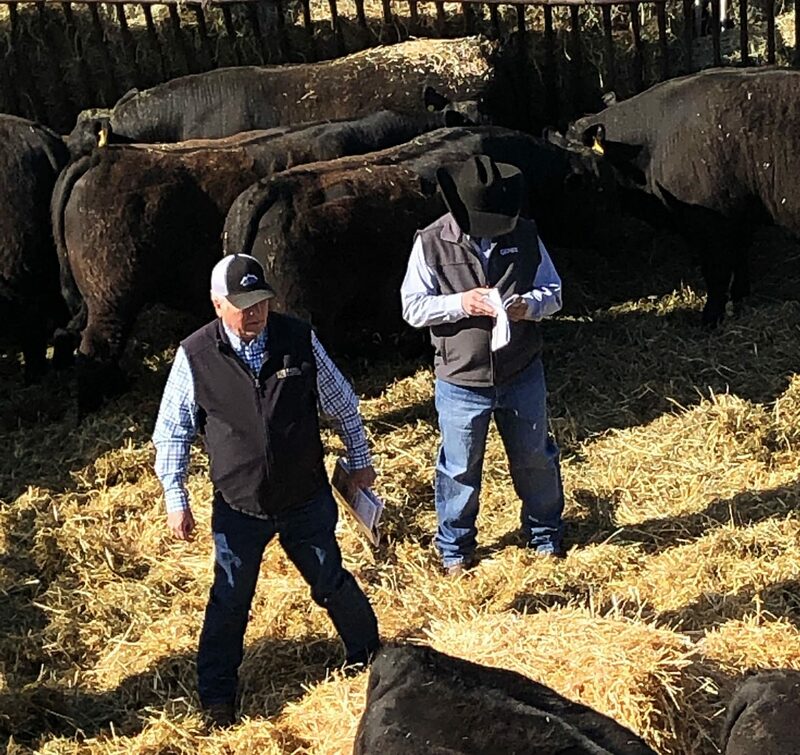 Babe Goggins and family lived up to their reputation March 21-22, 2019 at the VR Spring Performance Sale, offering a high volume of outstanding yearling Angus bulls and fancy open commercial Angus replacement heifers. Every bull offered had the Vermilion 'look', was backed by performance, and was out of a top-notch cow, while the heifers were some of Montana's finest, all one iron and ready to breed. Congratulations to the Goggins family and crew on a great sale! Lot 85 at $22,500, Vermilion Sensastion F177, DOB 2/28/18, REG #19210273, SAV Sensation 5615 x Vermillion Violet 1073, sold to Rocking S Ranch, Meeker, Colorado. 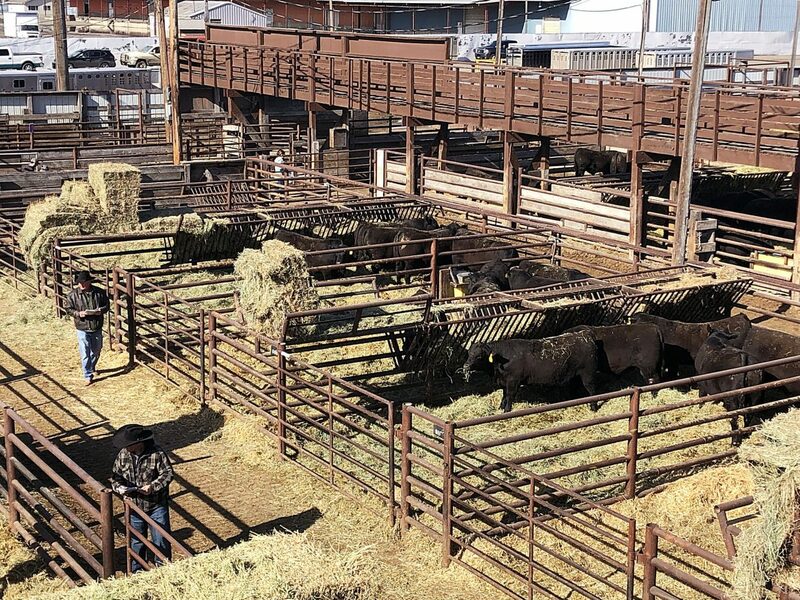 Lot 11 at $22,000, Vermilion Spur F123, DOB 2/10/18, REG#19206471, Connealy Spur x Vermilion Lass 5134, sold to Flag Ranch, Scottsbluff, Nebraska. Lot 4 at $20,000, Vermilion Reride F114, DOB 2/14/18, REG#19206462, Vermilion Re-Ride x Vermilion Blackbird 5077, sold to KG Ranch, Three Forks, Montana. Lot 53 at $20,000, Vermilion Privilege F148, DOB 2/14/18, REG#19206493, S A V Privilege 3030 x Vermilion Lass 5034, sold to Waibel Ranches, Powell Butte, Oregon. Lot 52 at $19,000, Vermilion Privilege F151, DOB 2/11/18, REG#19206496, S A V Privilege 3030 x Vermilion Martha 5306, sold to Tommy Dinwiddie, Capitan, New Mexico.